Art experts have confirmed that a small still-life at a US museum once dismissed as a fake is in fact by Vincent van Gogh, the Van Gogh Museum in Amsterdam said Wednesday. The painting, "Still Life with Fruit and Chestnuts", was donated by a couple to the Fine Arts Museum of San Francisco in 1960 and suspected to be by the Dutch master. Several experts had previously said that the painting dated to 1886 was not a real Van Gogh, and it was not included in previous official catalogs of works by the painter, who committed suicide in 1890. 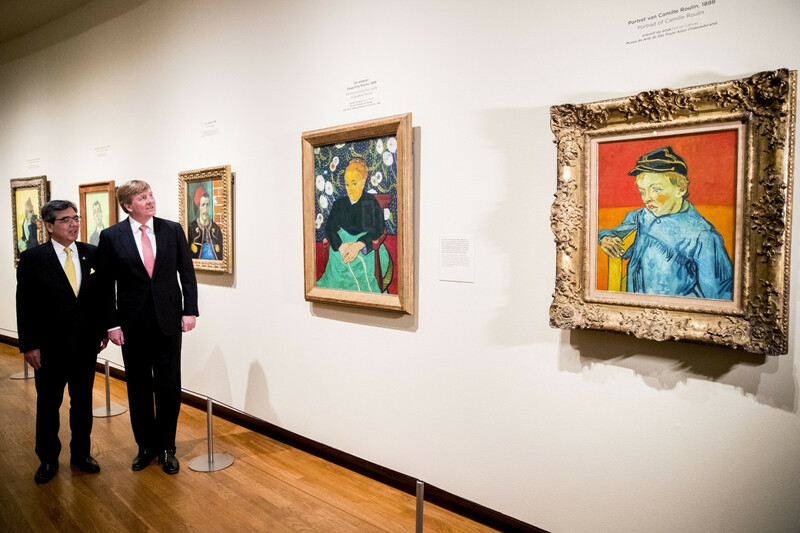 "It is true that at the end of last year, experts from the Van Gogh Museum attributed a painting from the collection of the Fine Arts Museum of San Francisco as a Vincent van Gogh painting," press officer Milou Bollen told AFP. "There was always a question whether the painting was or was not made by Van Gogh." In a further discovery, the experts found that there was a portrait of a woman hidden underneath the still life, the Van Gogh museum said. Van Gogh often reused his canvases as he found himself working in poverty, managing to sell only a few of his paintings during his troubled life. The Fine Arts Museum of San Francisco was not immediately available for comment. It already lists the painting as being by Van Gogh on its website. Van Gogh is better known for his vibrant renderings of sunflowers but he also painted a series of lesser, often darker still lifes including the one now officially attributed to him. "Still Life with Fruit and Chestnuts" is believed to have been painted in Paris in the autumn of 1886, the Dutch newspaper Volkskrant reported. It was at one point owned by the mother of French painter Emile Bernard, who was friends with Van Gogh. The Van Gogh Museum is asked to examine 200 works a year to see if they are really by the artist, but since 1988 it has only added 14 to the official oeuvre, Volkskrant said.